The next version ver3.1.0 of Smart HTML Elements will introduce an alternative way to create a Web Component on demand from an existing HTML Element. Let's look at the sample below. In the 'index.htm' web page code, we see a HTMLDIVElement(DIV tag) with id="grid". We will use that HTML element to create a new Grid Web Component instance. That approach is useful, when we want to update an existing application with minimum changes or to create a Smart Web Component on demand with ES6 code. The latest version of Smart HTML Elements, brings a full featured Chart Custom Element with more than 30 different Data Visualization options. The Chart Types supported are listed: Chart Types. 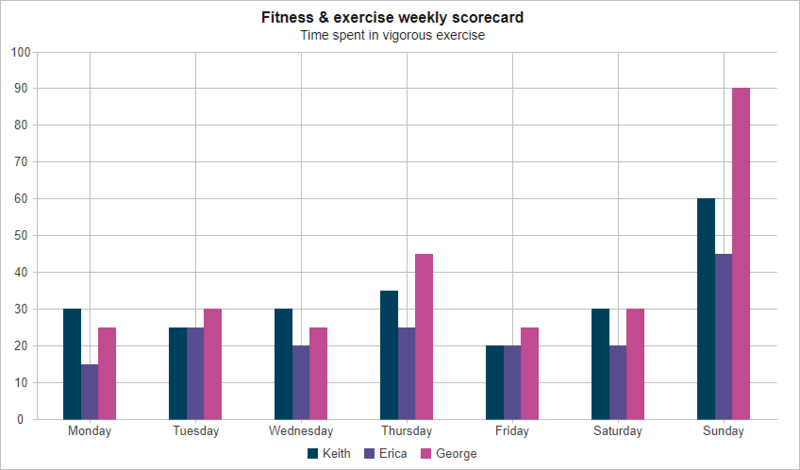 Data displayed on the Chart can be formatted in multiple different ways. For example, the charting element has a property called 'formatSettings' with the following data formatting options. decimalPlaces - number of digits after the decimal separator. Default value is 2 for floating point numbers. negativeWithBrackets - boolean which specifies whether to display negative numbers in brackets. Default value is false. prefix - any string which will be added as a prefix. Default value is empty. sufix - any string which will be added as a sufix. Default value is empty. dateFormat - optional date format string. This property is applicable only when displaying Date objects. The image below illustrates the Axes supported by the custom element. Smart.Chart has two main types of axes - valueAxis and xAxis. 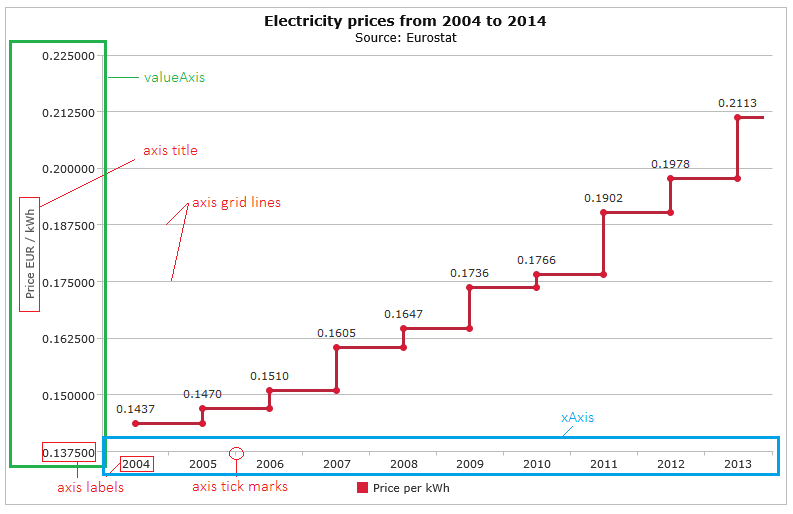 Typically the valueAxis represents the vertical axis in the chart although you may choose to rotate the axes and in this case the valueAxis will be displayed horizontally. 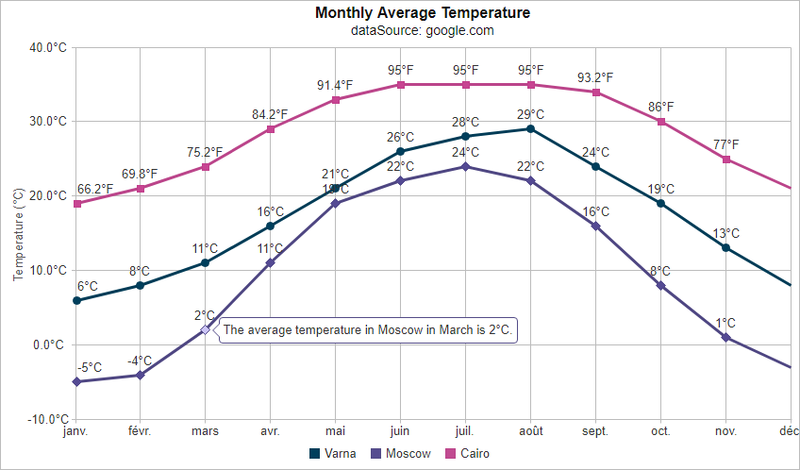 Smart.Chart also ships with 32 built-in color schemes which are used to automatically set colors for different series. You can change the color scheme by setting the colorScheme property of the chart. The available value are from 'scheme01' to 'scheme32'. 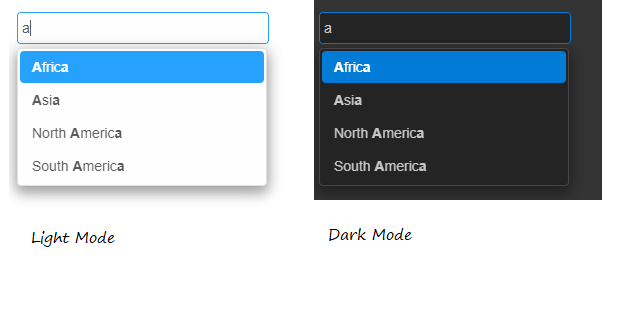 By setting its 'theme' property, users can Data Visualize their graphics in 'Light' and 'Dark' mode. Smart.Chart is based on: jqxChart. This post shows how to bind to the Grid Web Component events. The code below initializes the Grid instance and binds to the 'click' event. Within the event handler, we can get details about which part of the Grid was clicked - Cell, Row or Column. This is achieved by utilizing the 'event.path' array. It is also important to note that each Data Grid Column has 'data-field' attribute and each Row has 'data-id' attribute. The data source, which is used in the example is available in the 'data.js' file from the download package. Our Web Components library has a feature, which allows you to dynamically extend a Custom Element with additional behaviors. We call them Modules. To add a new module, you have to call the 'addModule' method. In this blog, we will show you how to create a new module, which adds a 'color' property to a Custom Element. We will call it 'ColorModule'. The 'ColorModule' defines a 'color' property. The default property value is 'red'. Whenever the 'color' property is changed, the 'setColor' method is invoked which applies the Color to the element. The below code adds the Module to the 'smart-toggle'button' Custom Element. Note that the second parameter is 'true'. This means that our 'ColorModule' will be added to all sub-classes of the 'smart-toggle-button' i.e 'smart-radio-button', 'smart-check-box' and 'smart-switch-button'. All these custom elements will have the 'color' property. In our code base, we use it to dynamically load Component dependencies. To create it in unbound mode, we need to set the dataSource and dataFields properties to Numeric values which determine the Rows and Columns. The "onCellRender" callback function allows us to render cell values on demand when the cell is in the view. The Data in the example is Client Side data. If you have an application scenario, where you need to use larger data sets, our Grid offers a solution for that due through the Virtual Data Source. Check out: Grid Demos.